Replacing your lawn this fall? 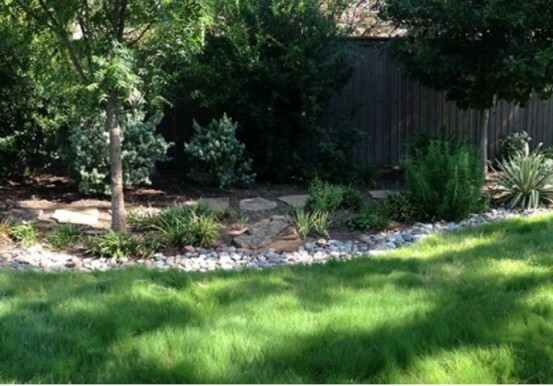 Choose one of these grass varieties great for North Texas. Have you recently moved into a new home with a lackluster lawn, realized your current lawn is in decline, or perhaps you are installing a new landscape? Choosing the right lawn for your lifestyle is the first step to renovating an existing lawn or installing a new one. 10 Steps to prepare your soil for sodding a new lawn here. 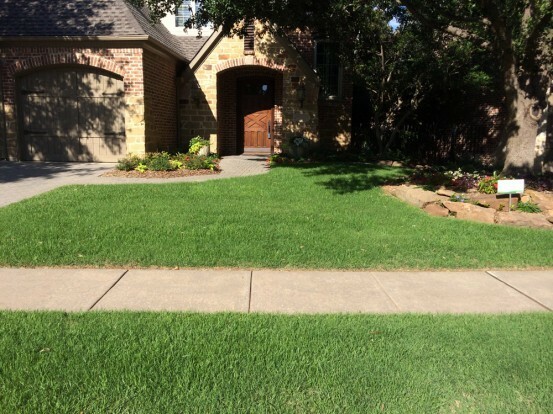 Due to its emerald green color, soft texture and slight shade tolerance, St. Augustine grass has become one of the most widely planted grass varieties in the DFW area. Its thick growth growth habit allows it to outcompete weeds. Its water needs are moderate. When maintained the right way, St. Augustine is fairly tolerant of most pests and diseases. However, if it is over-watered, watered at night, mowed too short and left to grow in compacted soils, it will become weak. Once weak, it becomes susceptible to chinch bug, take-all root rot and a number of other fungal diseases. Also, despite common perception, St. Augustine grass is not a “shade” grass. All lawn grasses require full sun conditions to perform at their best. St. Augustine, however, will tolerate a bit more shade than other varieties. But don’t expect it to grow well under dense shade trees. First time homeowner? We offer lawn maintenance tips to lawn-newbies here. We love buffalograss not only for its drought tolerance, but also for its soft texture. Left natural, it will provide a soft, billowing and modern look in your landscape. This Texas native grass is native to meadows across Texas where the buffalo roamed. If you have pets or kids, you can be sure that this will be great fit for heavily trafficked areas! Other notable features include pest and disease tolerance, low water usage once established, grows in a variety of soils, and if you are not keen on mowing very often, buffalograss grows naturally to only eight-inches tall. It’s best to allow Buffalograss to grow naturally, only mowing it a few times a year (no shorter than three-inches). Looking for a warm season, drought tolerant grass with a tight growth habit? If you like what you see on the golf course, then Zoysia is for you. 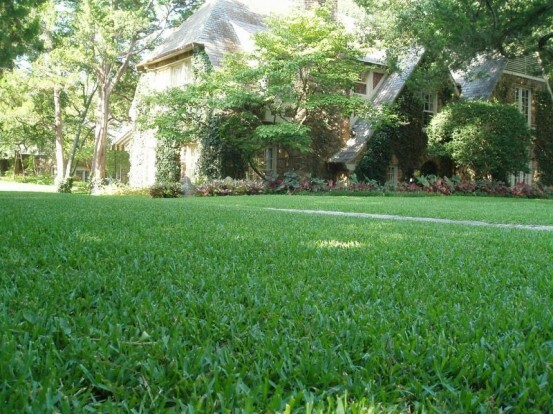 Zoysia grass is a good fit for those who want a more traditional looking lawn with more drought and traffic tolerance than St. Augustine grass. This slow growing grass is a good choice for areas of your landscape that receive four to six hours of sun. While Zoysia will tolerate a bit of shade, it too will look it’s best in full sun locations. In the photo below, we replaced a St. Augustine lawn in decline with Zoysia. See the results here. Installing a new lawn this fall? The condition of your soil will greatly affect the success of your new lawn whether you lay sod or seed. Compacted, nutrient deficient soils stunt growth and leave you with lackluster results. Don’t wait to begin improving the health of your soil after your new lawn is installed. Prepping soil with our Soil Building program prior to installation will improve the texture and microbial activity of your soil which in turn will improve root and top growth of your lawn. You’ll grow a lush, green lawn faster when soil is healthy.